The Department for Education is threatening “direct intervention” from September at schools that are failing to open their doors to FE providers, as part of a crackdown on non-compliance with the controversial ‘Baker clause’. 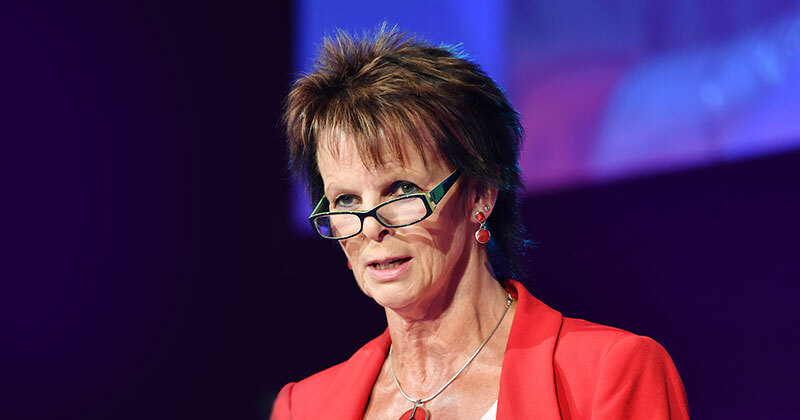 At the same time skills minister Anne Milton (pictured above), writing for FE Week, is encouraging providers to grass on schools that are barring their access, by contacting her directly. “We want to make sure young people are getting all the information they need about the options available to them post-16,” a DfE spokesperson told FE Week. This action could include highlighting best practice or even direct intervention, she said. In her latest monthly column for FE Week, published today, Ms Milton urged providers that have had access to their local schools blocked to report their experiences to her directly, via her parliamentary or constituency offices. The Baker clause, so called because it was proposed by the former education secretary Lord Kenneth Baker, was introduced as part of the Technical and FE Act 2017. He acknowledged at the time that it was likely to be “met with great hostility in every school in the country”. The duty, which came into effect in January, forces schools to open their doors to FE providers to speak to their pupils about technical qualifications and apprenticeships. However, there have been warning signs that schools are failing in their legal duties. In June the Association of Employment and Learning Providers carried out a survey on behalf of the DfE in June, asking providers about the impact of the legislation, following reports that schools were either unaware of or choosing to ignore the law. That survey has now closed, but the DfE has refused to reveal its findings. Simon Ashworth, AELP’s chief policy officer, said that feedback it had received from providers before the survey indicated that “the reasons for schools’ apparent resistance to the statutory requirements were the ones that prompted Lord Baker to move his amendment in the first place”. Some schools placed “limitations on which year groups and ability groups the providers can have access to” while others “aren’t keen on any access at all”. An FE Week investigation in January found that just two of the 10 largest multi-academy trusts in England were fully compliant with the legislation. Writing for FE Week in March, Ms Milton said she expected “to see schools setting up careers events, assemblies and options evenings so that providers can talk to pupils about what they offer and what it is like to learn in a different environment,” as a result of the new duty. The idea of an outcome based model is good as it helps focus on supporting the individual learner to progress to the next step. This type of model can help stop the churn that some of us have seen in the industry with no real results in some cases. However, we need to ensure that by becoming outcome based , we don’t just focus on employment. There are a lot of individuals who are just not ready for work. We need to ensure that by becoming outcome driven we do not disadvantage those individuals who the most vulnerable and the hardest to reach as this will only drive tthem further away. They will then become even more difficult to support and we will end up spending twice as much to get them back to the initial starting point. Outcome based models are good as long as they include a varied range of outcome appropriate to the learner group.